Under the recent discussion at the UN Human Rights Council (UNHRC) the current deteriorating human rights situation inside Tibet was discussed. The major topics up for discussion on July 3, at the UN Human Rights Council (UNHRC) in Geneva were racism, racial discrimination, xenophobia and intolerance. The concerned Special Rapporteur Mr MutumaRuteere presented his annual report. Mr Tenzin Kayta representing the Society for Threatened Peoples briefed Mr Ruteere on the current deteriorating human rights situation inside Tibet. He made special references to the cultural, social, religious and linguistic discrimination the Tibetans faced daily in their homeland under Chinese rule. During the interactive dialogue and general debate on the above issues, Mr Kayta stated that, "Despite China's obligations under the Committee on the Elimination of Racial Discrimination (CERD), racial discrimination faced by Tibetans under the Chinese authorities is getting worse. 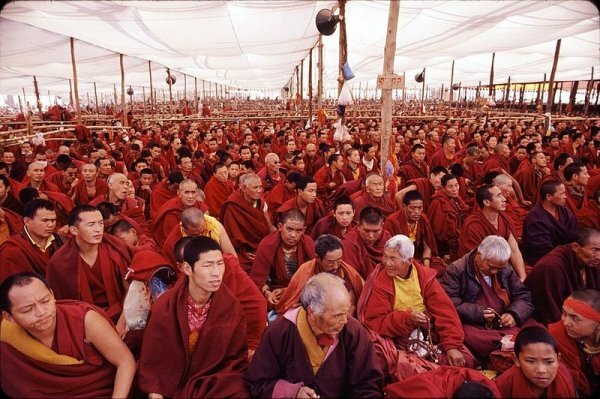 Since March 2008 widespread protests erupted in all Tibetan areas under China¹s administration." He said that the Chinese security personnel following the recent twin self-immolations in Lhasa on May 27 rounded up about 600 Tibetans. Mr Kayta went on to give various instances of Tibetans' basic rights being violated. Those living in Lhasa and the Tibetan Autonomous Region (TAR), but not born there were compelled to move back to their birthplace, while the hundreds of thousands of Chinese from the mainland are allowed to move about freely. This is discriminatory and a blatant violation of freedom of movement and resident.There have also been restrictions put on freedom of association and assembly, while security forces in Lhasa have continued to carry out highly increased identity checks on the streets of the city. Furthermore, he explained that China's development policies are conceived and carried out without participation or keeping in mind the local Tibetan people and thus are discriminatory in design and implementation. For instance, the forcible resettled of Tibetan nomads in concrete ghetto like buildings not only denies them their rights but also threatens the very survival of an ancient Tibetan lifestyle. With respect to this the Special Rapportuer on Food, in his report recommended that Chinese authorities respect the right to development and put an end to this. He expressed concern regarding restrictions put on the use of Tibetan spoken and written language by the Chinese authorities. MrKayta said, "This year alone, the Chinese authorities had forcibly closed a Tibetan orphanage school in Luchu County in Kanlho (Gannan), a prefecture which housed 50 students and a private funded Tibetan school called Khadrok Jamtse Rokten School in Kardze County for giving priority to (the) Tibetan language and culture. Responsible person(s) of the schools were arrested and (their) whereabouts remain unknown"
He stated that the string of Tibetan self-immolations were a result of constant, widespread discrimination of their social, cultural, linguistic and religion rights. He urged the Chinese authorities to investigate the causes of unrest in Tibetan areas, redress it sincerely with the implementation of domestic and international laws and take responsibility for ensuring the basic rights of the people. In response to the statement, the Chinese delegate said, "There are no ethnic or racial problems in China. All citizens are treated equally according to law. Tibet and Xinjiang are not human rights issue but politically motivated by western forces."